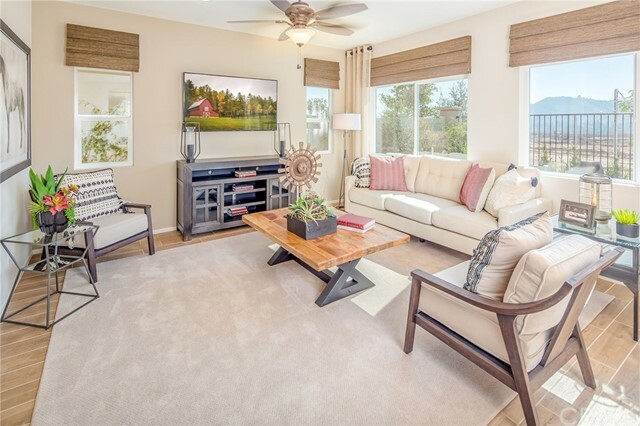 Inspired by nature, history and the rich rural traditions that still thrive amidst Fallbrook’s farmlands and orchards, Brindle Pointe is a new destination at Horse Creek Ridge where the chance to live life to the fullest is around every corner. Join a neighborhood alive with the spirit of adventure and discovery, a place for everyone to put down roots and grow a great family. Play at the neighboring parks. Swim laps in the sparkling community pools. Have a barbecue with friends. Walk the surrounding wild lands. Take a horseback ride along the nearby meandering equestrian trails. Come harvest the good life. This community is comprised of two story detached condominium homes. This 4 bed room 2.5 bath home features a great room open concept floor plan with large kitchen and den downstairs. 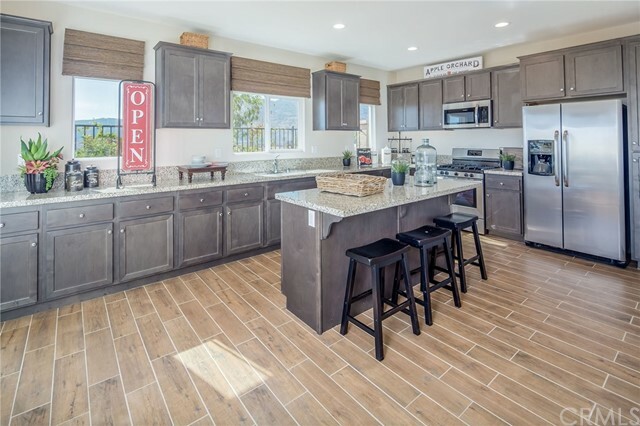 The kitchen features granite couter tops and stainless steel appliances.